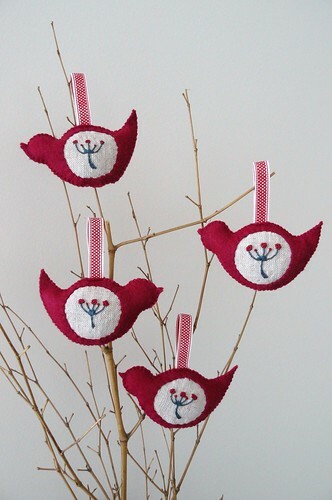 Little Bird Tree Decorations (Red), originally uploaded by edwardandlilly. There are more birds in the shop now but be quick, this is a popular colour. If you don't find the colour you like I take requests so feel free to contact me directly for an order. Australian readers can purchase in AUD here or by leaving me a comment with your blog or email address. Surely they're already sold out? !